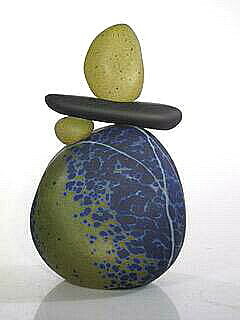 Melanie Guernsey Leppla Glass Cairns (stones). Done in blue, green, sand and gray colors. Forms and colors vary slightly. Size approximately 5"h x 5" d x 4" wide. Artist signed.